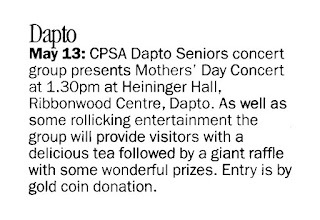 Don't forget that Monday 13th May at 1.30pm our enthusiastic concert group will be presenting their Mothers' Day Concert in the main hall in Heininger House. 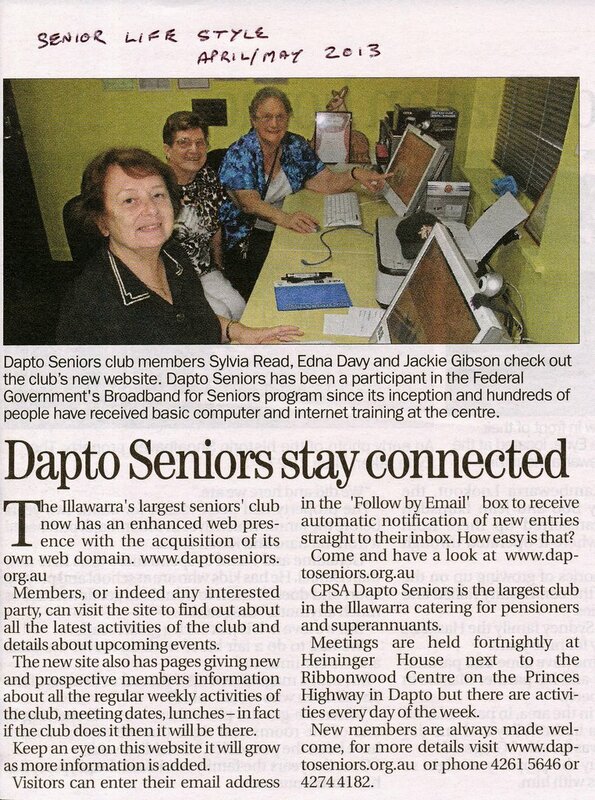 The club has a couple of sets of the Telstra Tech Savvy Seniors DVD available for loan. Each set comprises two DVDs covering a wide range of topics, watch them all or just watch the sections that interest you. Contact the club's secretary to borrow a copy of this DVD set. 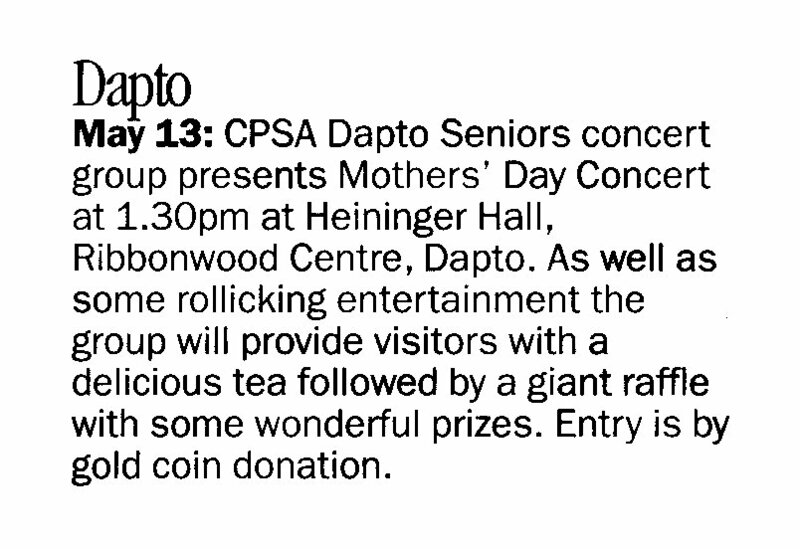 Later in the same edition they included our Mothers' Day concert in their monthly diary of activities. 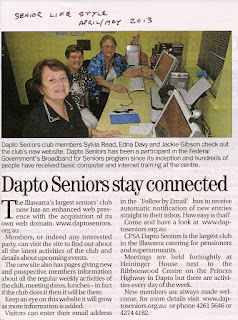 The club is very grateful for all the support the press give us.